The RivetKing IHF Series is a thinwall half hex insert for use in hexagon holes. 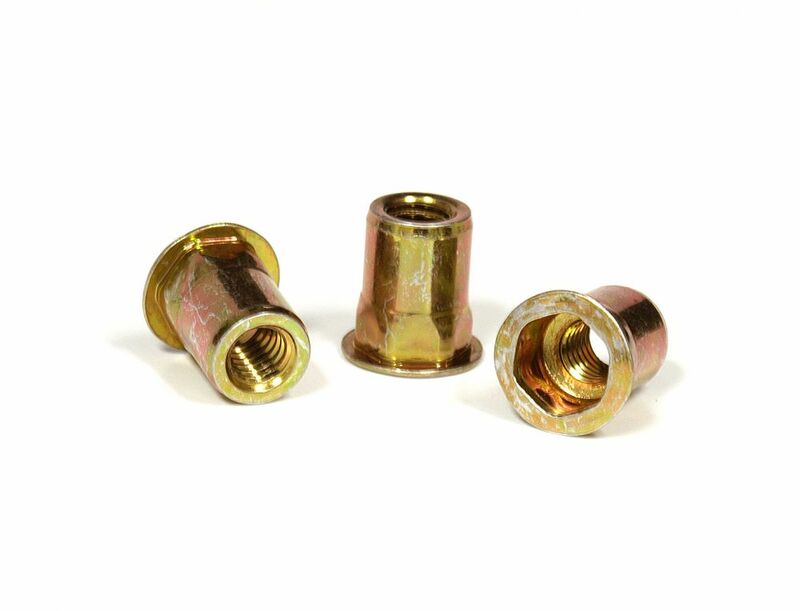 The half hex thinwall rivetnut is designed for use with spin-spin tools. The torque to set is far less then the full hex heavy wall inserts. The low profi le head is wide and thin and allows for a near fl ush installation. Spin-Spin or Spin-Pull tools can be used to set the IHF series. The RivetKing IHF Series is a thinwall half hex insert for use in hexagon holes. The half hex thinwall rivetnut is designed for use with spin-spin tools. The torque to set is far less than the full hex heavy wall inserts. The low profile head is wide and thin and allows for a near flush installation. Spin-Spin or Spin-Pull tools can be used to set the IHF series.